When’s the last time you slipped into a size-larger shirt and looked more dashing for the change? 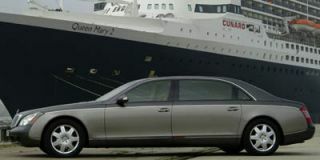 That’s the mean feat Jaguar has accomplished with its new trio of long-wheelbase XJ8 sedans. Five inches longer than the shorties they follow onto the market by a year, the “LWB” models also sit slightly taller and just 53 pounds more than the stock short-wheelbase XJs. Yes, they’re bigger, but amazingly their new size comes virtually penalty-free. The plus-sized XJ lineup includes three models. 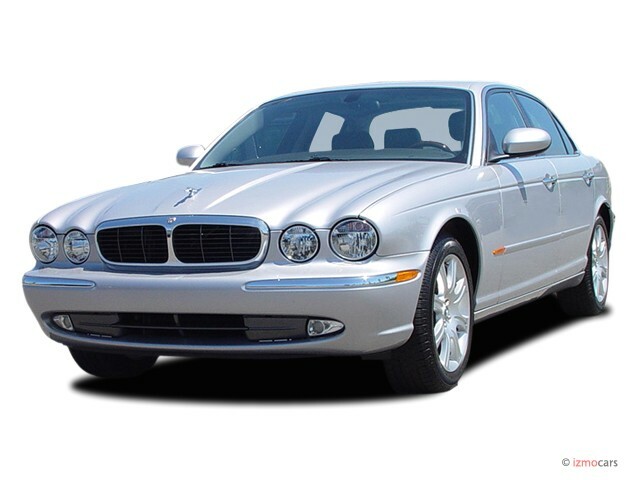 The XJ8 long-wheelbase is $63,495, priced just $2000 more than the standard XJ8 and, Jaguar points out, $10,500 cheaper than BMW’s V-8, long-wheelbase 745Li. Powered by the 294-hp Jaguar 4.2-liter V-8 and hitched to a creamy six-speed automatic gearbox, the XJ8 L wears 18-inch wheels and a new grille insert so you can tell the difference between it and the shorter car. 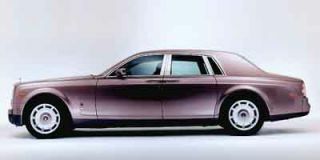 On this and all the LWB models, the five additional inches and four-tenths of an inch gain in height seems seamless, but compared side-by-side, give the XJ a longer, more elegant silhouette and scads more rear-seat room. If you care to opt up to the $70,995 Vanden Plas, you’ll get the same powertrain but graceful touches like Rapier-style wheels (19-inchers are optional), heated steering wheel and wood-and-chrome business trays built into the front seatbacks. The $89,995 Super V8 is the long-wheelbase stunner: in addition to its 390-hp supercharged engine, it boasts 19-inch wheels, a handsome mesh grille, a power-reclining rear seat, xenon headlamps, a multimedia system with twin screens mounted in the front-seat headrests, and adaptive cruise control. Jaguar proudly points out that the Super V8 sold in the States will retail for $10,500 less than BMW’s 745Li. 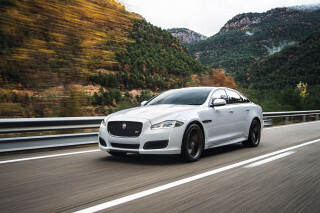 Jaguar’s decision to craft the new XJ from aluminum reaps big benefits in its biggest sedan — and strikes a marked contrast with its aluminum kindred. 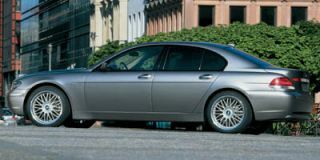 At just 53 pounds heavier than the standard XJ8, the 3777-lb XJ8 L is substantially lighter than the 4399-lb Audi A8L, and predictably, the steel-bodied, 4872-lb BMW 760Li. The light weight pays off in maintaining its speed without costing much more at the pumps. Jaguar proudly notes that the LWB models are the only vehicles in their class to avoid gas-guzzler tax. 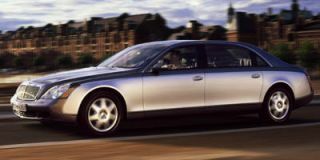 Too, the performance envelope of the short-wheelbase cars isn’t impinged by the additional rear-seat room: the XJ8 L hustles to 60 mph in 6.3 seconds and a top speed of 121 mph, delivering a combined fuel economy of 22 mpg. The Super V8 hurtles to 60 mph in 5.0 seconds, passes 150 mph and turns in 20 mpg. The missing heft translates directly to a lightness of touch that Jaguar plays up properly throughout the car’s controls, particularly in its steering. Of course, the Super V8 remains the most thrilling XJ: you squeeze its throttle like a trigger, and overtake with ballistic intensity. Steering weight is light but communicative, and even though the wheelbase is longer, feels as quick and direct as in the base XJ8. The brakes are equally deft, and the big Jag’s ride is a model of supple control at most speeds. Dynamically, the long-wheelbase cars are Masters players, with athletic capabilities closer to smaller, leaner four-doors. Elongating the XJ8 richens its silhouette. Jaguar says this version was styled expressly with interior comfort in mind, but the extra length – all aft of the B-pillar –gives it a superior stance to the short-wheelbase car, as well as class-leading rear head and knee room. 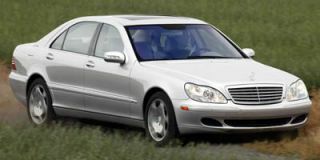 In the back seat you’ll find levels of equipment nearly as lavish as cars three times as expensive. 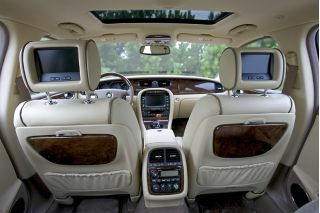 The mini-Maybach effect is obvious, from those business trays in the Vanden Plas and Super V8 cars to the power seat controls for the front seats accessible to rear passengers to the twin DVD screens and twin power sockets for the electronically obsessed. The true business-class seats are missing, though you can power-recline the LWB’s rear seats. And though it’s quite roomy in the back, front passengers fully reclining their seats can collide with the rear riders’ knees. All LWB models are shod with power-adjustable pedals, a moonroof, 12-way power front seats, walnut trim, and side curtain airbags. The VDP adds boxwood inlays, lambs-wool rugs, 16-way power front seats, those business trays, an electric rear sunshade, heated seats and steering wheel, and an Alpine 320-watt sound system with six-disc changer. The awesome Super V8 gets Brembo brakes, and front park control as well. The disarray at the competition couldn’t be timed better. Today’s BMW 7-Series is hampered by its looks and its overcomplication; the S-Class is in its final years of production, though it gets all-wheel drive standard this year. By most yardsticks, the new long-wheelbase XJ8s are the best Jaguars ever built. 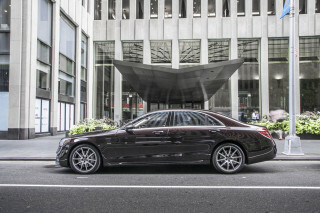 The nouveau riche may see it as a mini-Maybach pretender — but purists and those paying attention will see it as a real dagger to the heart of the superluxury sedan market.